Herwig’s Austrian Bistro will be closing its doors earlier than expected. May 25 will be the last day to enjoy the 132 W. College Ave. restaurant’s authentic Austrian cuisine and humorous service. “Here we go, kiddos. Time to get out those hankies. Our last day of operation will be Friday May 25th!” Herwig’s posted on its Facebook page on Monday. Owner Bernd Brandstatter announced in March that restaurant would be closing between June and August, but the final day of business has been moved up. Brandstatter cited health issues and declining sales as the reasons for closing the business. Herwig’s opened in 2002 in a small storefront on South Fraser Street, when family patriarch Herwig “Brandy” Brandstatter teamed up with his son Brand to create the new restaurant. The elder Brandstatter originally opened Herwig’s Edelweiss near Tussey Mountain in 1982 after the family moved to State College from Austria. In 2006, Herwig’s moved from Fraser Street to its current location on West College Avenue. Herwig’s is expected to be the second notable restaurant closing this spring on the 100 block of West College Avenue. In January, Dan Rallis, owner of The Diner, said he expected the longtime downtown eatery to close in April unless a new owner purchased the business. In recent days The Diner, which has operated under different names since opening in 1929, has appeared to be closed, with the doors locked and signs listing its hours removed. Rallis will continue to make the famous Grilled Stickies at a new facility in Boalsburg. 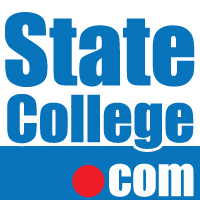 Posts from our partner website StateCollege.com. Former Penn State and NFL player Harry Hamilton criticized authorities and denied charges that he forced his way into a State College residence and assaulted his son.